Each year a number of brave men and women will sit down and tell their parents that they are gay. By the time they tell their parents they will have lived with this knowledge for some time. It is often the parents who have only a split second to react. 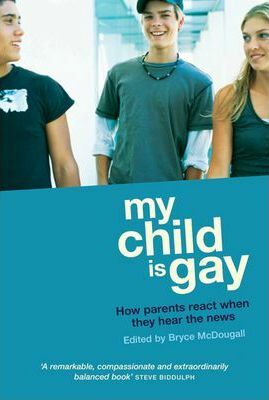 My Child is Gay is a compilation of letters written by parents who have a gay or lesbian child. The letters have been written to be shared - both to help parents cope with and come to term with their feelings, and for gay men and women who are contemplating sharing the truth. Few parents are accepting from the start and many feel perplexed. They are unsure where to turn to for help and how to deal with their feelings of grief and loss. Here the parents talk about how they dealt with the many emotions they experienced - anger, embarrassment, guilt and confusion. Together these letters reaffirm the regenerative power of love and allow those with first hand experience to outline the important steps on the road to understanding. My Child is Gay shows how ordinary families have found love and happiness again. Edition Statement 2nd Second Edition, Second ed. Bryce McDougall was born in 1967. He lived on the Hawkesbury River at Ebenezer for the first eleven years of his life, after which his family moved to Sydney. Bryce now works in the airline industry and this is his first book.